Individuals who believe they have been discriminated against may file a complaint through the College Discrimination Complaint Procedure. Complaint forms may be obtained from the Campus Provost’s office, the Academic Deans’ office, the Judicial Officer, or the EEO/AA Officer, Human Resources. ADA questions and concerns may be directed to the Section 504/ADA Coordinator at 2006 S. Ankeny Blvd, Bldg 6, Ankeny, IA 50023, phone 515/964-6857, sgbittner@dmacc.edu. 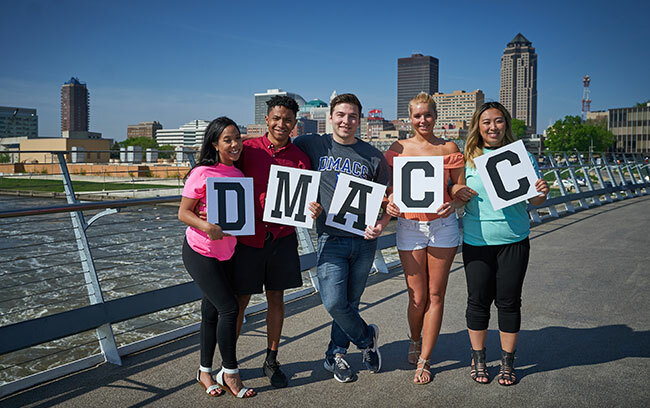 Title IX questions and concerns may be directed to the Title IX Coordinator at 2006 S. Ankeny Blvd, Bldg 6, Ankeny, IA 50023, phone 515/964-6216, titleIX@dmacc.edu. Question or complaints about this policy may be directed to the Director of the Office for Civil Rights, U.S. Department of Education, Citigroup Center, 500 W. Madison, Suite 1475, Chicago, IL 60661, phone 312/730-1560, tax 312/730-1576..